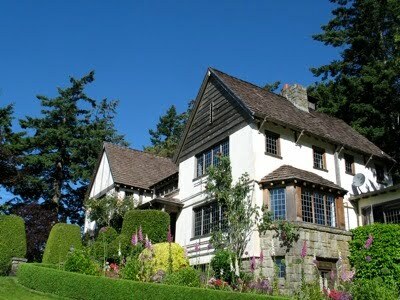 One of the loveliest places to stay in BC's Gulf Islands is the Hastings House Country House Hotel on Salt Spring Island. Ready to welcome guests again for the upcoming spring, summer and fall seasons -- the April 2, 2010 re-opening is being celebrated with a special Three Nights for Two (plus a picnic for two). The special runs April 2-June 30, 2010. If you can't get away for a third night, you'll receive a 50% off certificate for the second night of your next stay beginning Sept. 21, 2010. Rates include a full English breakfast and afternoon tea. Also, Hastings House is offering four Wellness Retreats this year in April, May, June and October. Kenmore Air resumes its float plane service from Seattle to Ganges on Salt Spring Island on April 1, 2010. Service includes one flight a day on Mondays-Thursdays-Fridays-Sundays. Daily service begins May 1, 2010.